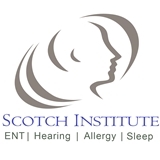 Scotch Institute of Ear Nose & Throat (New Port Richey) - Book Appointment Online! Our physicians and professional staff care for both adult and pediatric patients in these specialty areas: Ear, Nose & Throat, Sinus, Snoring & Sleep Apnea, Allergies, and Hearing Loss. Extremely knowledgeable and a great bedside manner. Cares for his patients and wants the best for them. Highly recommended.